GarlicCide Available at J&J Nursery, Spring, TX! Randy Lemon will be talking about this excellent, natural fungicide and insecticide over the weekend on his show Garden Line! 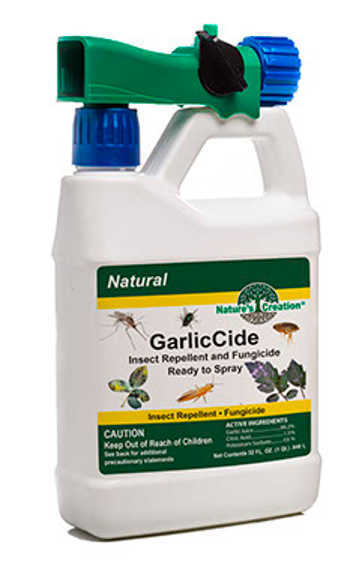 GarlicCide from Nature’s Creation is now available at J&J Nursery! Covers up to 4000 square feet! GarlicCide is made from fresh garlic. Garlic has long been known to be an effective, natural insecticide and fungicide. It’s kid and pet friendly, too! As a fungicide, you can use it on flowers, roses, vegetables, trees, shrubs, turfgrasses, fruit and nut trees. It controls and prevents black spot, brown patch, dollar Spot, Rust, Late Blight and more. Use as a preventative spray during periods of warm weather and high humidity. This entry was posted in Fungus, Insect Control, Insects, Spring, The Woodlands, Tomball, TX, Uncategorized and tagged garliccidespringtx, garliccidethewoodlandstx, garliccidetomballtx, insecticidespringtx, insecticidethewoodlandstx, insecticidetomballtx on September 25, 2018 by jjsnursery. So many weeds, so little time! It’s time for Fall fertilizing! Fall in love with great savings! 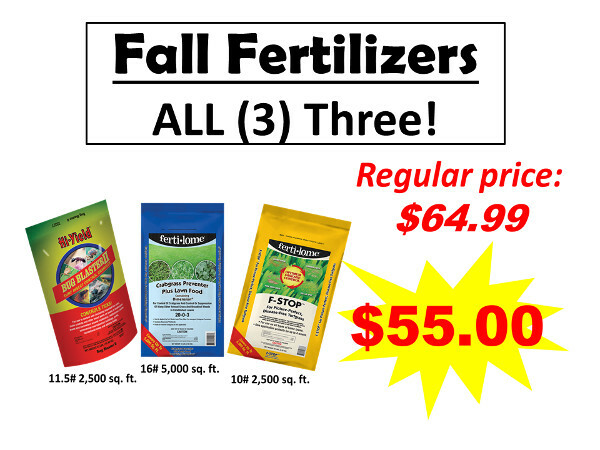 Fall Fertilizer Sale! 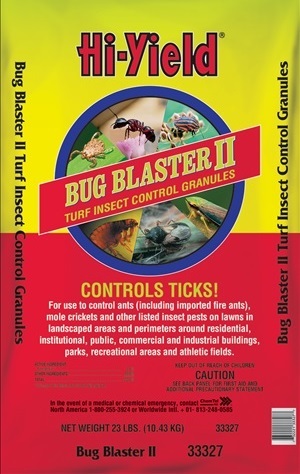 Bug Blaster, Crabgrass Preventer Plus Lawn Food and F-Stop. Buy all three for $55.00 while supplies last! 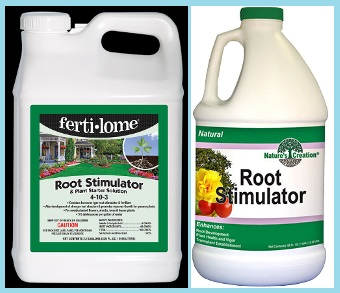 All three fertilizers are safe for grass, trees, shrubs and flower beds. Do not mix all three packages. 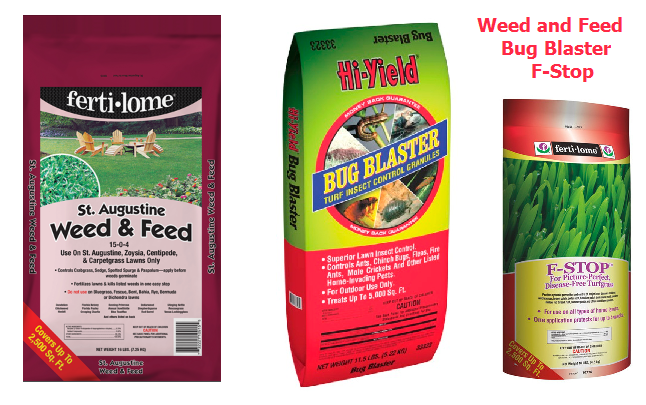 Apply Crabgrass Preventer Plus Lawn Food first, Bug Blaster second, F-Stop third. This entry was posted in Brown Patch Fungus, Fertilizer, Fungus, Grass, Insect Control, Insects, J&J's Nursery, Lawn Care, Madison Gardens Nursery, Spring, The Woodlands, Tomball, TX, Weeds and tagged ants, brownpatch, Bug Blaster, Crabgrass Preventer Plus Lawn Food, F-Stop, Fall Fertilizer Sale, Fall Fertilizer Spring TX, fungus, sodwebworm, weeds on September 23, 2017 by jjsnursery. Is your lawn able to recover from flooding? Unforunately, turf that’s been under water more than 4 days, especially in hot weather, is likely a loss. Lawn care after a flood. Should You Repair or Resod After a Flood? Follow the instructions below to salvage your lawn or reinstall grass. 1. Remove debris – nails, wooden pieces, muck(sediment), etc. 2. Decide whether to repair or resod. If your lawn is under 3 or more inches of soil/sediment, resod/replant your grass. With more than 2 inches of soil, recovery is unlikely. If lawn is covered in less than 1-2 inches of dirt, go over it 3-4 times w/ a core type aerifier. Can also reseed at this time. We carry rye grass seeds. Fertilize with any fertilizer appropriate for the season such as Crabgrass Preventer Plus Lawn Food. Irrigate the lawn to maintain moist, but not saturated, soil conditions. Remove as much deposited soil as possible. You can also rototill the deposited soil and original lawn soil until well mixed. Level and firm the mixed soil, water with a mixture of Root Stimulator, then resod or seed the grass. We carry sod, rye grass seeds and root stimulator. * Check for new shoots emerging from the soil or the emergence of new shoots from surviving plants to assess damage. For additional grass issues, take a look at F-Stop and Bug Blaster 2! 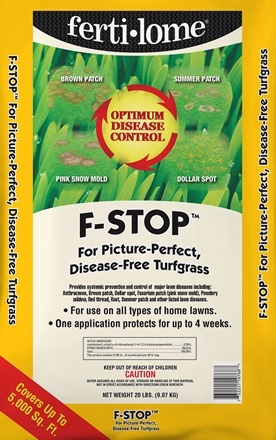 F-Stop helps with fungus such as brown patch. It is safe for grass, trees, shrubs and flower beds. F-Stop takes care of anthracnose, red thread, septoria leaf spot, copper spot, dollar spot, fusarium blight, leaf spot, melting out, crown rot, leaf smuts, necrotic ring spot, powdery mildew, rust, summer patch, take-all Patch and zoysia large patch. Bug Blaster 2 kills nasty bugs! 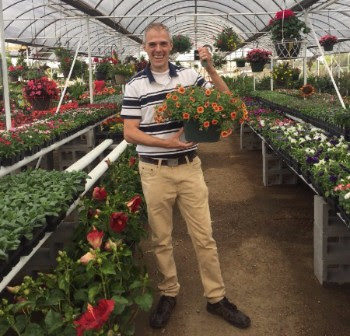 Available at J&J Nursery and Madison Gardens Nursery. Information from Colorado State University. Further reading for muck on turf. This entry was posted in Brown Patch Fungus, Fertilizer, Fungus, Grass, Insect Control, Insects, J&J's Nursery, Lawn Care, Spring, The Woodlands, Tomball, TX and tagged Flooded Grass Lawn, J&J Nursery Spring TX, Lawn Care After Flood, Madison Gardens Nursery Spring TX, Sod Grass, Spring TX, The Woodlands TX, Tomball TX on September 16, 2017 by jjsnursery. 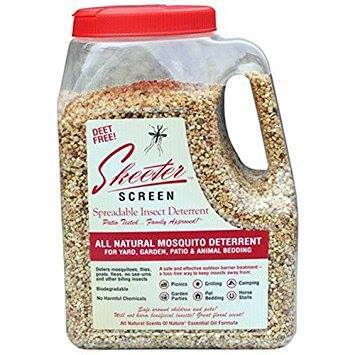 4# Skeeter Screen is great for entertaining outdoors this summer. This entry was posted in Insect Control, Spring, The Woodlands, Tomball and tagged mosquitos, natural, protect your family, skeeterscreen, summer entertainment on June 10, 2017 by jjsnursery.